Probably the most celebrated Malaysian film of 2017, “Shuttle Life” screened in festivals like the Golden Horse and Shanghai International, earning nominations and awards for its dramatic portrayal of life in Kuala Lumpur. Qiang is a young man living a very difficult life, since his father is out of the picture and he has to take care of his mentally ill mother and his six-year-old sister, Hui Shan, by doing odd jobs, occasionally illegal, with his two friends. However, his life is not without happiness, with his sister being a beacon of light and hope in his life. During one of these moments, however, (Hui Shan’s sixth birthday), tragedy hits him even harder than the car that crashes on his motorcycle, as he wakes up in the hospital with the little girl nowhere to be found. What follows is a desperate struggle to acquire a birth certificate for her, while his mother’s situation seems to deteriorate. Tan Seng Kiat uses this quite dramatic setting to comment on the harsh circumstances of Kuala Lumpur, where life, particularly for the poor, reaches the borders of unbearable. In that fashion, the movie portrays the water shortage, the bureaucracy, particularly in connection with the health system, the corruption, and the huge differences between the rich and the poor. In these circumstances, one could easily relate to Qiang’s frustration, who watches his problems becoming more and worse, and realizes that he hasn’t got the power to provide a solution for any of them. This frustration leads him to lash out even towards his friends, who prove their faithfulness to him repeatedly, as Tang Seng Kiat seems to praise male friendship as one of the few virtues of the world. The film includes two shocking moments, the one in the beginning in the crash, and the other near the end, where one of the main messages is delivered: “In this setting, we are all equally bad”. However, the finale left me a bit puzzled and kind of annoyed, as the director seems to suggest that sometimes, the best thing to do is just leave all your troubles behind and go for a ride. The intense moments are quite a lot in the film, but the pace implemented by Chen Hsiao Tung and Yue Ba Ren Zi is low-key, without any lagging though, in a tactic that seems to fit its aesthetics quite nicely, with the cuts in the key moments being impressive. 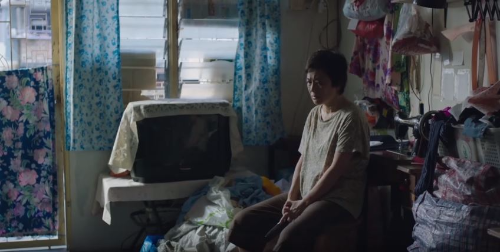 Chen Ko Chin’s cinematography is one of the production’s greatest assets, with the portrayal of the rundown neighborhoods of Kuala Lumpur being utterly realistic, both in the interiors, with the family’s house actually representing the family’s situation, and the exteriors. The contrast between the poor houses and the mansion in the film is one of the highlights of his work, while the scenes where Qiang is riding with his sister are outstanding. “Shuttle Life” is a very interesting film that manages to shed some realistic light on the seldom-portrayed life of the poor in Malaysia, with the permeating drama providing the entertainment aspect.